The Uconnect® infotainment system is an innovative technology suite that lets you access a variety of features on your new Dodge, RAM, Jeep, or Chrysler vehicle. Utilize the Uconnect® system inside vehicles like the Jeep Grand Cherokee to enjoy connectivity features, such as hands-free communication, navigation, and Wi-Fi. Similarly, the Uconnect® App lets you stay connected to your vehicle while on-the-go around the Houston area. Learn more about the Uconnect® App with this overview from Clear Lake Chrysler Dodge Jeep Ram. Roadside Assistance Call: If you get stranded with no gas or a flat tire, Roadside Assistance is there to give you a lift! Remote Vehicle Start: Start your vehicle to warm up or cool down so it’s ready when you step inside. Vehicle Finder: If you can’t remember where you parked your car, use the Vehicle Finder feature to locate it easily. Stolen Vehicle Assistance: In the event that your car has been stolen, this feature allows you to immediately contact the authorities. Remote Vehicle Lock/Unlock: Forgot to lock your car? Lock it–or unlock it– right from your phone! SOS Call: In the event of an accident, use SOS Call to notify the proper authorities and get help when and where you need it. Send ‘N Go™: Send directions to your vehicle from your phone so you can stay on-the-go. Test Out the Uconnect® Suite at Clear Lake Chrysler Dodge Jeep Ram! Ready to check out the full Uconnect® suite in a new RAM truck or Jeep? 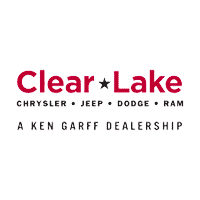 Set up an appointment with the sales professionals at Clear Lake Chrysler Dodge Jeep Ram for a test drive! Be sure to also explore our new RAM truck specials and new Jeep specials to get a discount on your Uconnect® ready vehicle.